I have a set of early factory steel wheels from a Jeep Wrangler TJ. They put these on the '97 to '01 Wranglers. This style was also used on the Cherokee as well. 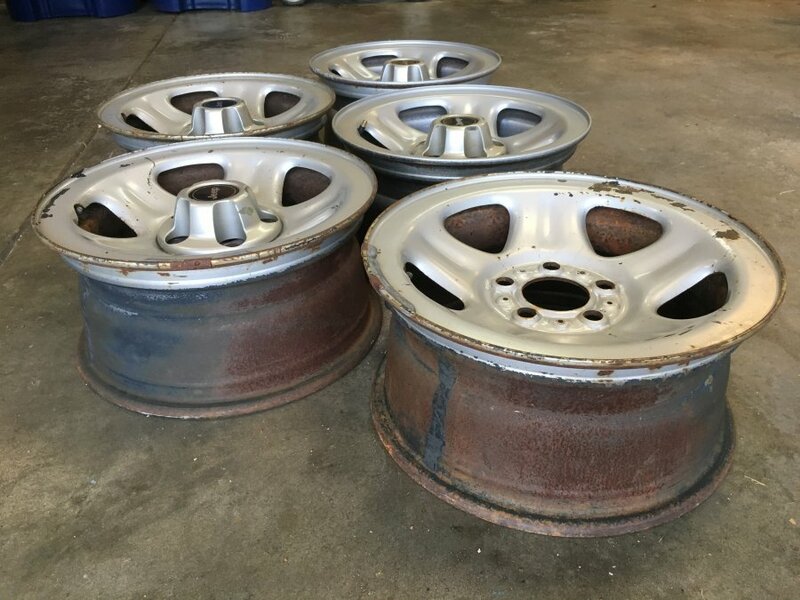 They are 15x7 with 5 on 4.5 bolt pattern, 5.5 backspacing with +38mm offset. 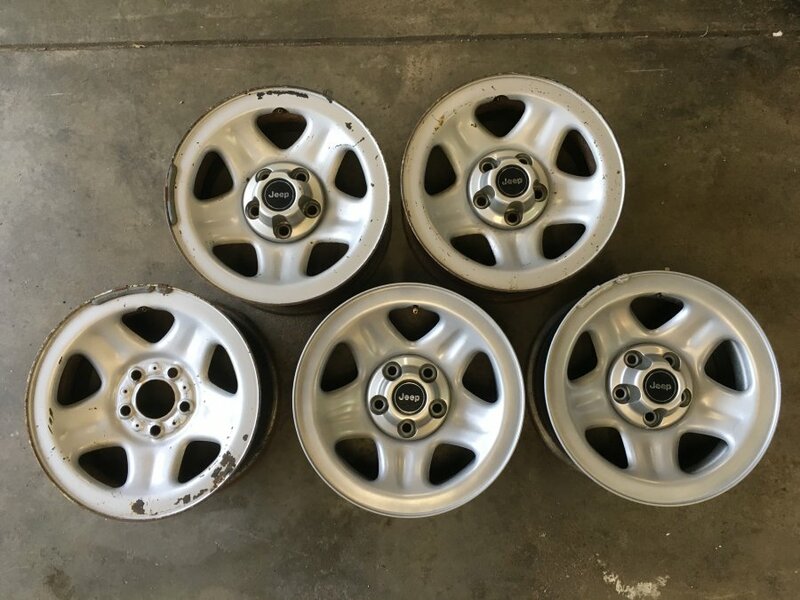 It was common for the silver paint to chip off so two of the worst ones are repainted with some Eastwood wheel spray paint that I had left over. Honestly, I was just trying to get rid of a partially filled can of spray paint. 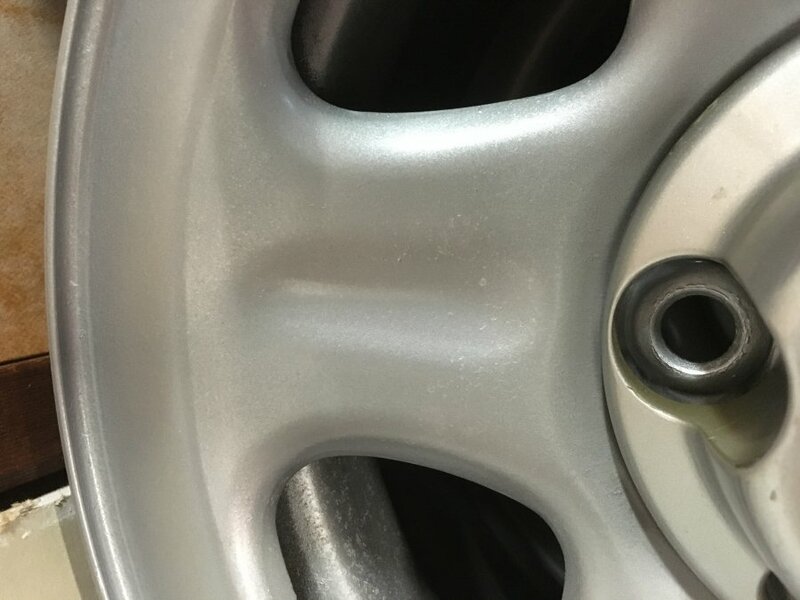 One is missing its center cap. Not interested in shipping at this time but would be willing to meet half way if not to far. I would think shipping would cost more than what I'm asking anyway.